TSM have such ridiculous crowd support. 25:15 – Look where top lane is. After taking the tower, DIG couldn’t get the wave to bounce and BillyBoss was consistently pushed up. He did have vision, but he didn’t account for the damage Hauntzer could do on Poppy. 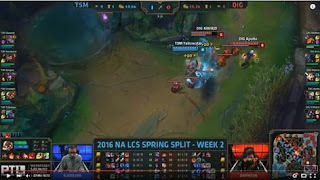 Hauntzer was the MVP for TSM in their last game (I gave him TSM’s only A) and Bjergsen’s proactive roam from mid seals Gnar’s fate. Apollo had just recalled so DIG can’t even punish the bot lane in response. There is no ward for Hauntzer to TP in on, but no ward for DIG either. In that last frame, you can see the ward come out for Yellowstar. What he did was push the carry and support off with his shield and place a ward behind the DIG minion wave. DIG have to make a choice - cancel the TP and play 4v5 or TP BillyBoss in on the minions and risk him getting caught in the middle of TSM. DIG actually do a good job kiting and staying alive long enough for BillyBoss to get at least one kill before dying. 30:40 – Not sure DIG are doing here, they have a flank but don’t do any damage and Kirei gets blown up. 33:10 – I can’t blame Kirei here, he needs to clear wards, but he gets Kiwikid caught and they cannot turn it around. Shiphtur walks up but Hauntzer is right behind him. This is the type of gamesense and shot calling that TSM need to seriously compete. 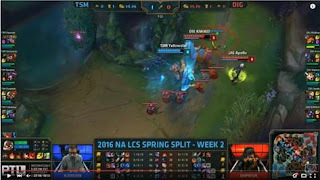 37:35 – DIG get their first dragon, but TSM immediately ping mid and Hauntzer is unstoppable at the top inhibitor. DIG lost vision of their jungle. This game is pretty much over, TSM wisely play it safe. 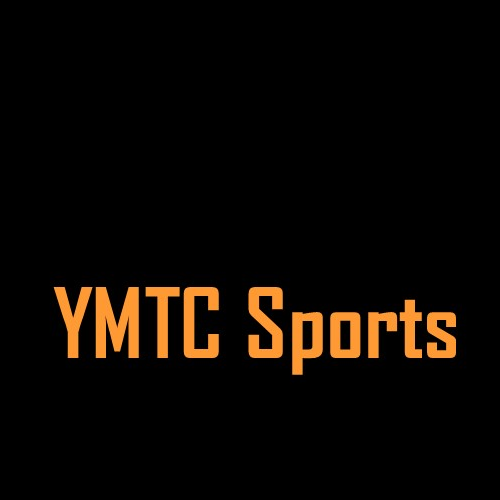 40:22 – TSM are overpowered but continue to execute mechanically. 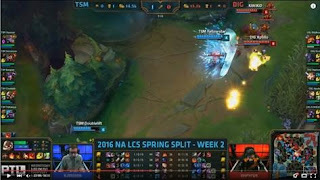 They stop the engage from Alistar and then everyone does a great job kiting and peeling to keep Doublelift alive after a big Lux laser and Ezreal True Shot. BillyBoss tries an aggressive flanking TP, but the team walk out of it without giving up a kill. Hauntzer flanks DIG and the game is over. Sven and Bjergsen were really good on the kite and disengage. 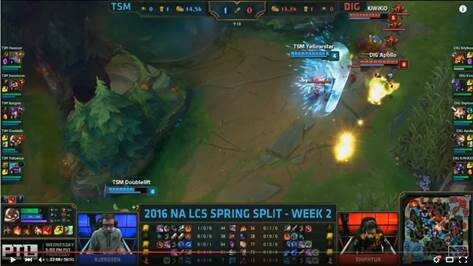 If you’re going to play with these power picks, you have to cover for each other in the disengage and TSM accomplished that.